112 UCAS tariff points from either A Level/BTEC national qualifications. We do not accept General Studies. AS qualifications may count towards these points. We do not consider Key Skills. 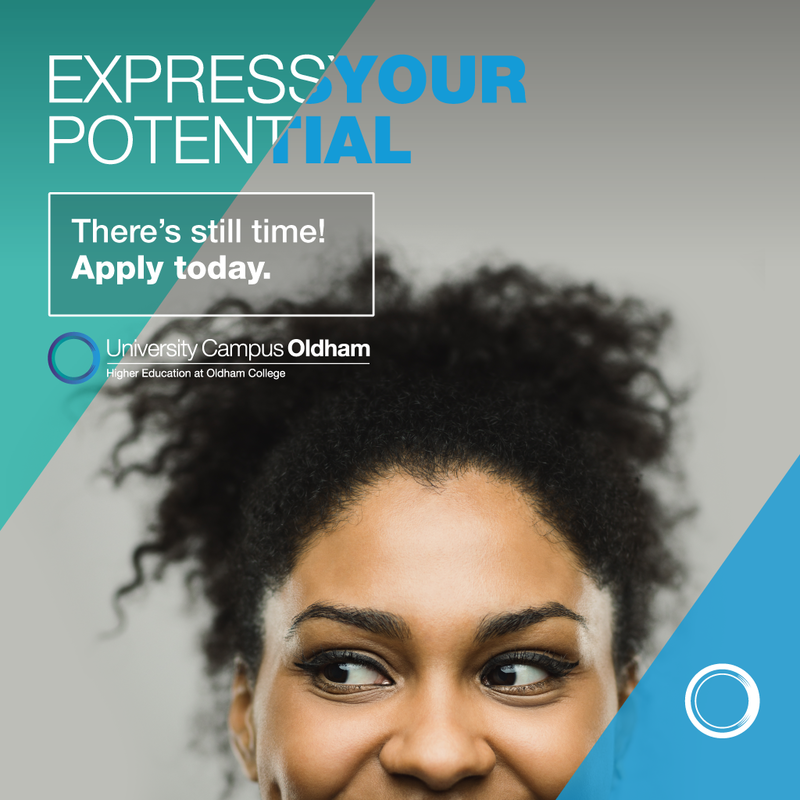 Applicants must meet the University Campus Oldham’s minimum academic entry requirements for English language and Mathematics (or equivalent), normally demonstrated by GCSE grade C or equivalent may also be required. BSc (Hons) Psychology validated by Sheffield Hallam University. The BSc (Hons) Psychology degree will provide students with an eclectic and fascinating insight into the human mind and how psychology can be applied to everyday life – personally, socially, academically and professionally. The programme has a strong practical focus that provides opportunities to develop intellectual and practical skills in case formulation and risk analyst and the collection, analysis and interpretation of research data. The programme’s distinctive focus on psychological literacy and citizenship, provides graduates with the capability to become a lifelong learner in the sense of; skills in information retrieval, critical evaluation and independent working are core attributes for learning across new contexts. Our aim is to foster an open-minded enquiring attitude and skills development that support intellectual and transferable employment skills. The BSc (Hons) Psychology degree will be validated by Sheffield Hallam University. This course is currently undergoing application for accreditation by the British Psychological Society (BPS), which would give students eligibility for the graduate basis for chartered membership (GBC) with the BPS. Graduate basis for chartered membership is an entry requirement for all BPS accredited postgraduate training courses in psychology to become a clinical, educational, occupational, health or counselling psychologist. Applicants for GBC need to have passed the empirical research project module and to have attained an undergraduate honours degree at a minimum lower second class honours level. A core aspect of the BSc (Hons) Psychology degree is the provision of the core module, research methods and statistics. Teaching and practical activities aim to provide these students with the knowledge and skills necessary to design and conduct psychological research, to analyse both qualitative and quantitative research, and to be able to appropriately report findings in a suitable format. Students have the opportunity to engage in practical work in a variety of specialised topics and make extensive use of dedicated laboratory space (using research cubicles, specialist experiment generator software, e.g., E-Prime) and equipment (including computing equipment and specialist statistical analysis software, i.e., SPSS) to enable them to carry out the necessary practical work during teaching sessions. The teaching and practical activities culminate in an empirically based psychology research project. Our BSc (Hons) Psychology degree will develop the knowledge, professional skills and abilities that are in demand from employers. Employers in the general employment sector value the academic characteristics of a psychology degree, such as understanding of human behaviour, sense of citizenship, effective communication, good skills in critical evaluation and research, analysing and presenting information. According to the Times newspaper “Psychology opens the door to many careers in an increasing number of areas”. Psychological literacy provides graduates with a range of professional and transferable skills that are valuable in many sectors such as public relations, personnel, marketing, retail, teaching, social work, finance, politics and sports. Psychology is located in the University Campus Oldham building designed to house specialist teaching and research facilities. Resources include teaching, tutorial and dedicated laboratory space, specialist equipment supporting psychological research and psychological testing, software supporting data collection and analysis in psychology research, and other IT. As a student of UCO you will have access to academic resources made available by Sheffield Hallam University. The BSc (Hons) Psychology degree will be taught within University Campus Oldham (UCO). Class sizes at UCO are kept small to enhance learning and tutorial support.